Nike’s Air More Uptempo silhouette perfectly embodies what hoops sneakers were like in the 90s – chunky, with bold branding that made a statement both on and off the court. 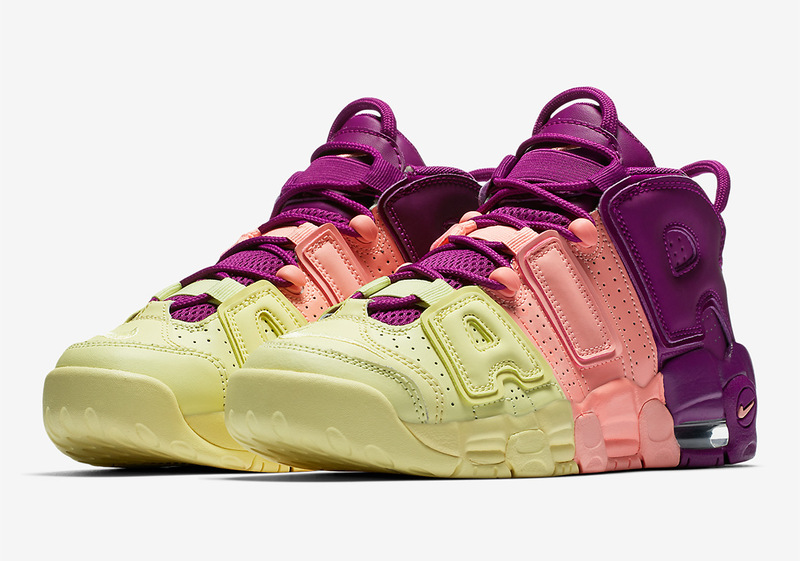 Now, the Swoosh is ready to add an even more eye-catching aesthetic to the Uptempo by way of this bright color palette that sees it split in thirds with yellow, pink, and purple from toe-to-heel. With an unlimited well of color blocking capabilities at their disposal, the Beaverton Brand’s design team will continue to explore any and all options with this eye catching retro silhouette. Enjoy an official look at the newest member of the Uptempo family below and stay tuned for release updates shortly. Update: The Nike Air More Uptempo is available now on Nike.